During the third edition of the LET’S CEE Film Festival, from 2nd to 11th October in Vienna, 91 feature films, documentaries and short films from Central and Eastern Europe in total were screened with either English or German subtitles. With slightly over 13.000 visitors and 138 screenings and events, the festival was able to raise the numbers of the previous year (9.600 visitors) enormously. LET'S CEE 2014 was framed by two extraordinary films: the festival’s opening film was White God from Hungary – an upheaving, biting and multifaceted film, whose true stars walk on four legs. The closing film was Lithuania’s ultimate box office hit Redirected with its cunning mixture of action, thriller, crime and comedy. Also the number of international film guests increased respectably. 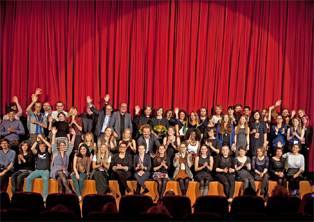 In contrast to last year's 52 guests, 107 filmmakers, actors and other festival guests came to Vienna this year. Again, a great deal of famous names are among them: not only the two-time Oscar winner and producer Branko Lustig from Croatia had to face the audience in a Q&A, but also the filmmaker and Academy Award winner István Szabó from Hungary, the director and winner of a Golden Lion Milcho Manchevski from Macedonia and his Romanian colleague Cristi Puiu, winner of a Golden Bear, as well as the actor Scot Williams from England, shooting star Ana Ularu from Romania and the Polish actress Jowita Budnik. 2014 was the centenary of the beginning of World War I and the 75th anniversary of World War II. Branko Lustig, who had to witness the horrors of the Holocaust himself, also visited the LET'S CEE Film Festival. 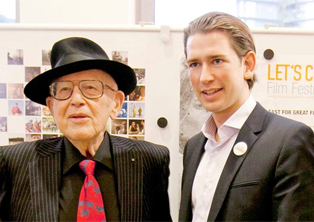 The two-time Oscar winner, who was interned in the concentration camps Auschwitz and Bergen-Belsen during his childhood because of his Jewish origin, came to Vienna within the framework of a series of events called Educational Morning, organised in cooperation with the Festival of Tolerance in Zagreb. The Urania Award 2014 in the category “Best Feature Film“, which consisted of nine movies, was awarded to the Estonian director Ilmar Raag for his international coproduction (Russia/Estonia/Finland/Belarus/Kazakhstan) I won't come back. In the documentary competition, Pipeline (Russia/Czech Republic/Germany) by the Russian director Vitaly Mansky received the main prize. For the short film competition with the motto “The Taste of Freedom”, 200 productions were submitted, 13 of which made it to the final contest. 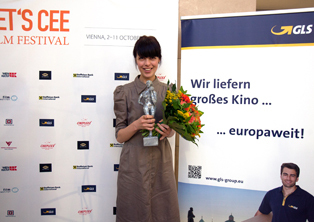 The German-Croatian coproduction The Chicken by the Bosnian director Una Gunjak was unanimously chosen for the main award in the category “Best Short Film”. 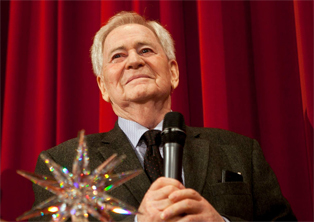 Following Turhan Bey and Branko Lustig, Istvan Szabó was awarded for his extraordinary work at the opening night with the Star of the Urania, the Lifetime Achievement Award of the LET’S CEE Film Festival.